On behalf of Admin of JML Law, A Professional Law Corporation posted in Wrongful Termination on Thursday, Mar 15 2018. Hot on the heels of tales of discrimination, retaliation, and sexual harassment leading to Innocean Worldwide’s chief creative officer, Eric Springer, being placed on leave, it has come to light that a former employee has filed a lawsuit claiming that the agency, along with an executive no longer employed by them, are guilty of sexual harassment, retaliation, wrongful termination, and other violations of employment law. Former Innocean Worldwide account director, Catherine Bennett, has accused Michael Sachs of firing her after she complained about his conduct, which included harassing her while intoxicated. In addition to the sexual harassment and retaliation claims against Mr. Sachs, the lawsuit accuses Innocean Worldwide of wrongful termination, intentional infliction of emotional distress, unfair business practices, and violation of California employment law. The case is ongoing, with the firm having stated that the plaintiff has no evidence to support her claims. Do You Need a Los Angeles Wrongful Termination Attorney? 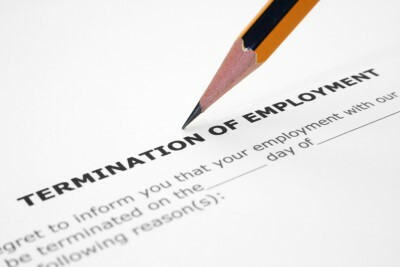 Wrongful termination, under California employment law, refers to any situation where an employee has been fired or terminated by their employer in a way which is in breach of their legal rights. If you believe you have a case for wrongful termination, a Los Angeles attorney can advise whether it can be proven that your dismissal violated at least aspect of employment law. Often, you may not realize that the termination of your employment has been done in an unlawful manner, nor that you could be eligible to bring a lawsuit as a result. If you suspect that something was amiss about the circumstances surrounding your dismissal, you should speak to a Los Angeles wrongful termination attorney immediately for expert legal representation. How Can a Los Angeles Wrongful Termination Attorney Help Me? Working with an experienced Los Angeles wrongful termination attorney gives you the immediate advantage of benefitting from their years of expertise and in-depth legal knowledge. If you are not familiar with the complexities of California employment law, you could adversely impact the outcome of your case by choosing to represent yourself. If you have been wrongfully dismissed from your job, and are experiencing financial hardship as a result, you deserve to be compensated for the emotional distress and economic impact of your former employer’s actions. To discuss your case with a JML Law wrongful termination attorney, and find out exactly how a Los Angeles attorney could represent your best interests, call us today on 818-610-8800.